Open any browser on your phone or PC. Go to Instagram and log-in your account, if you are already logged-in then leave this step. Go to anyone’s profile whom you want to download. 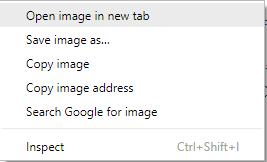 Right click on profile photo and choose open image in new tab, OR in mobile long press on profile image and choose open image in new tab. On next page, you will see that profile photo in small size, Go to above URL bar and remove /s150x150 from the URL. 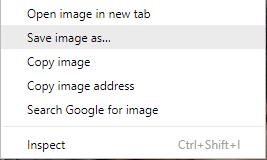 Press enter or open that new URL and you will see that profile image in his original size. Now tap the image to save or right click on the image to save as image on PC. This above method is really quick and easy way to get rid of this problem. This method is browser based so both Mobile and PC/laptop all you need is a browser. The browser used in above method is Google Chrome on PC and Mobile. If you have Chrome browser then we will recommend you to use that for your ease. In other browsers, you will see the options maybe different but the almost option and steps will be same. If You still want to use tool for that then you can follow below steps to get this task done using the tool. Enter the username of that person on the box whom you want to download profile image. Click on View DP button to see the profile photo of that Instagram username. On next page, it will show you the full-size image of that account. Now you can download and save the image from there. 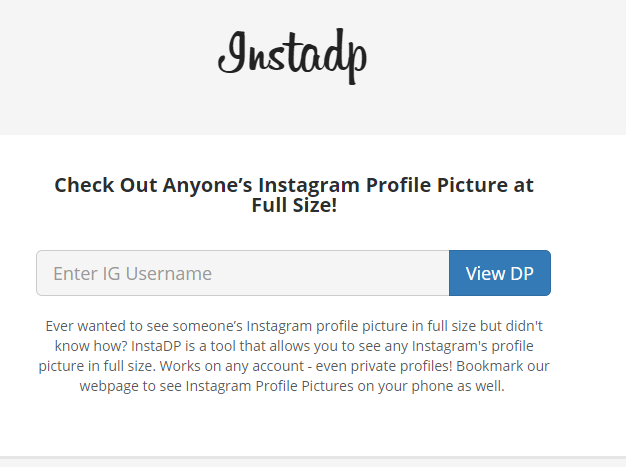 You can use this method on any browser, you just need to visit the Instadp website and follow the steps to download or view the Instagram profile photo in full size.